BRIGHT sparks have rigged up a light bulb to warn residents of the UK’s most remote mainland community when the power is about to run out. The residents of the Knoydart peninsula, a community so remote that it is inaccessible by car, rely on a local hydroelectricity plant for their power. The system produces enough electricity to power 90 kettles so the 115 residents have to keep a close eye on consumption to avoid blackouts. Scientists at Edinburgh University have just installed a “traffic light” bulb, installed in a window, that glows green, orange or red depending on the power draw. 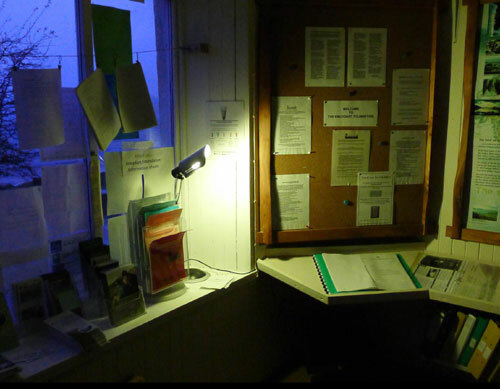 One of the “danger” times for Knoydart is the winter, when plenty of heat and light is needed against the cold and dark. Power demand soars in the summer when hordes of tourists flock to the peninsula by boat or by hiking – the only two ways in. The Edinburgh team came up with the warning system by reprogramming a Phillips wireless light bulb and connecting it to live data from the power plant. 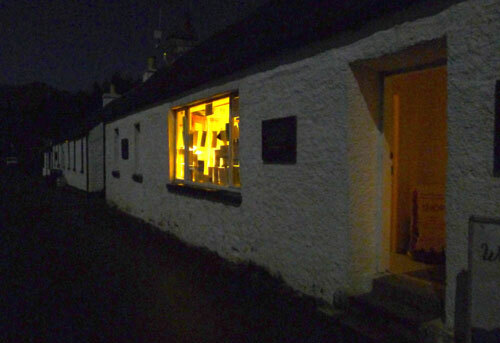 The lightbulb has been installed in the window of the community information centre in Inverie, on the peninsula’s only “proper” road. If most of the 180 kw is left the bulb glows green. Between 100kw and 130kw the light changes to a warning orange, and below that, red. At that point, residents have little choice but to supplement “green” hydroelectric power with a diesel generator. The scheme is a part of a wider Edinburgh University project, looking at communities with no access to national power systems. Two similar schemes are underway in remote settlements in India and Papua New Guinea, but the academics were alerted to the possibility of including Knoydart in the study as one of the research team had previously lived on the remote peninsula. Dr Jamie Cross, senior lecturer in social anthropology and development at the university, said: “There was an interest in how you better engage the public the community and visitors in the challenges of providing energy. “There was a piece of equipment that had been installed in the hydro scheme that produced a lot of data from sensors placed across the hillside on rainfall, dam levels and how much electricity was being consumed by the community. Grant Holroyd, a local resident, said the power supply was “pretty reliable” in general. He added: “But at peak times around New Year’s Eve and Easter, and when it’s cold, then we put the diesel generator on. The ‘traffic light’ information is also relayed on a website, The Power of Knoydart, which displays an icon and an explanation of how much power residents should be using.